Bratislava was a city or country I had never visited before but it has certainly put itself firmly on my recommended destination map. Travel – I had a positive and efficient experience taking a Ryanair return flight from Dublin to Bratislava. 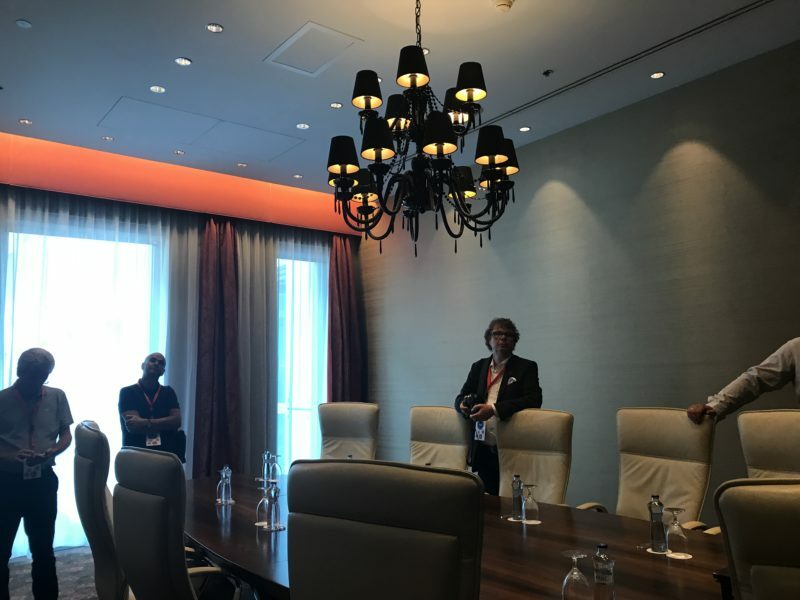 When I spoke to the other participants, I heard about the positive experiences they had flying directly into Vienna with a 40-minute car transfer or train directly into the city of Bratislava. Accommodation – In the 2 days that I was there, I stayed in the Sheraton Hotel. The natural light-filled and spacious rooms accompanied by friendly staff and an excellent location made it a very pleasant experience. 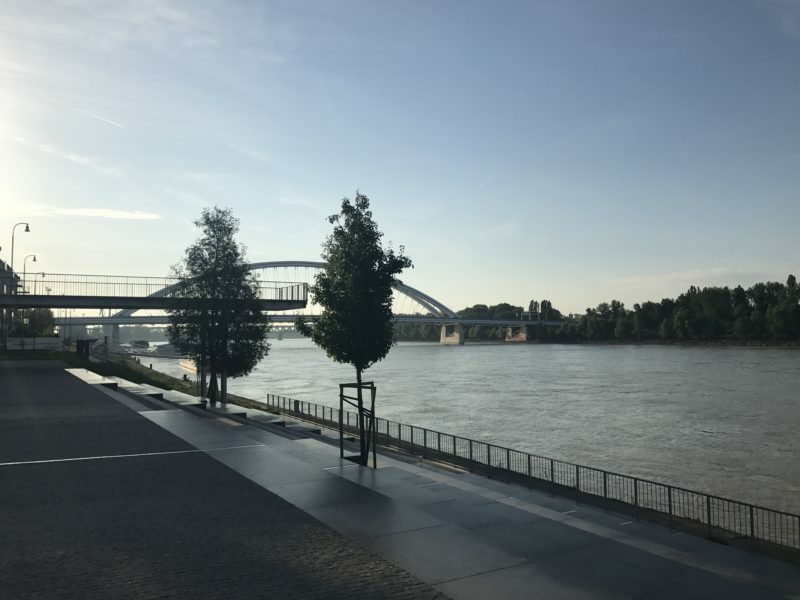 It is located 10mins walking distance from the old town and right on the river boardwalk too if you fancy a morning run (it is a marked out 10km). 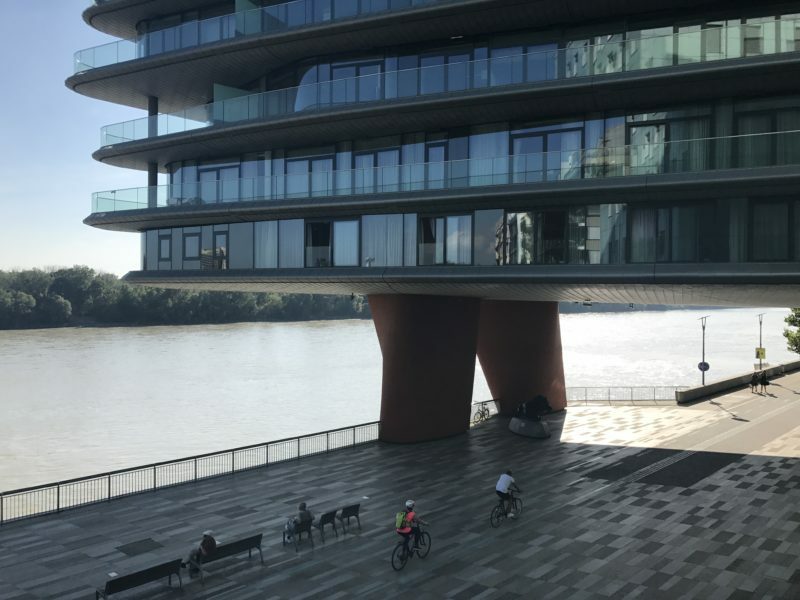 We visited the Grand Hotel River Park too – a fabulous 5-star hotel experience with well kitted out meeting rooms (coffee stations situated in the room) and private balcony space overlooking the Danube river. 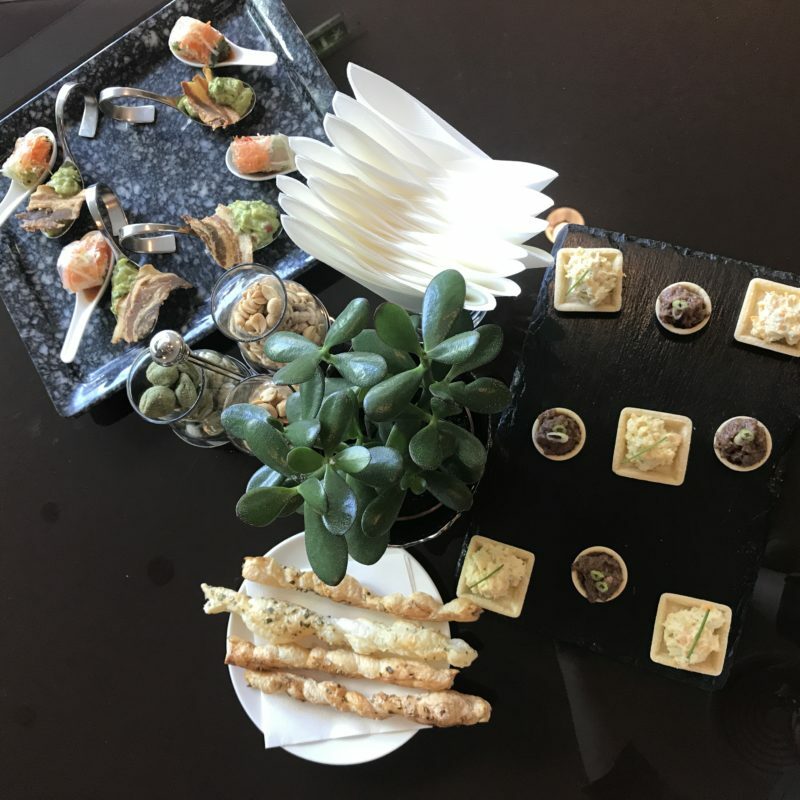 The Food & Drink – The culinary experience surprised me; light, full of colour and vibrant tastes and a wide variety of choice. 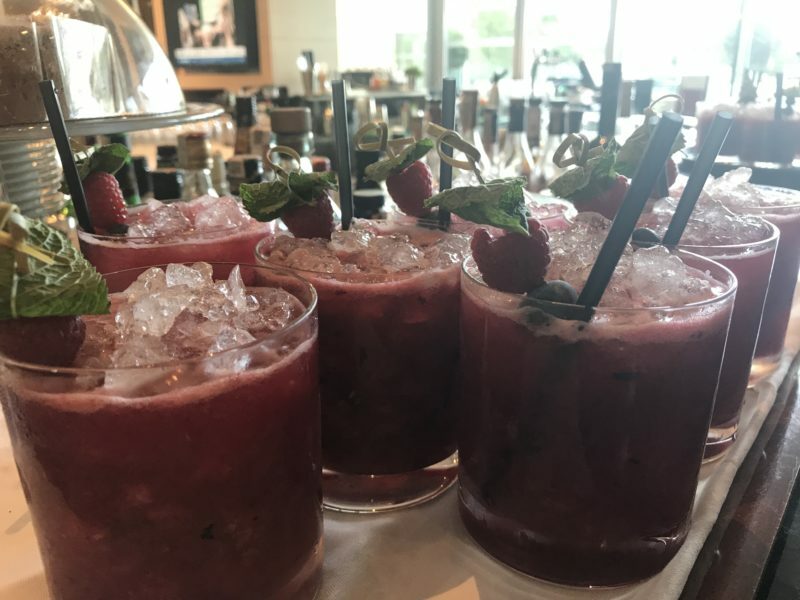 The light and salty bites in the Grand Hotel River Park were served in perfect combination with a sweet cocktail, freshly prepared with some local ingredients and garnishes. 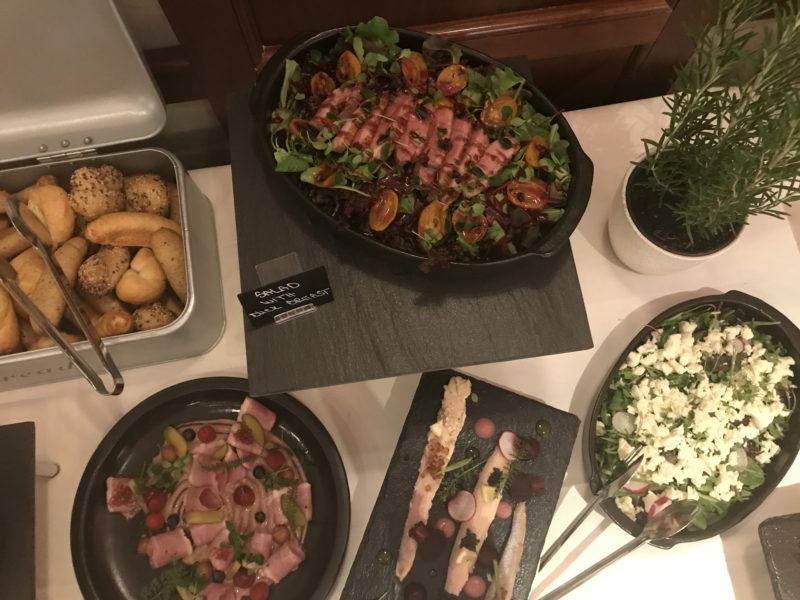 On the first evening, we ate in the Carlton hotel and they laid out a buffet of traditional Slovakian food and international cuisine with a selection of excellent local red, white and rose wine. If you enjoy getting hands on with culinary experiences, the Stara Trznica Food Hall Market has an upstairs space to cater small and large groups for cookery classes where you can cook your own Slovak style lunch (and dessert too of course!). The special treat was eating in the Primate Palace, exceptional gala dinner service of 4 courses with paired wines served while listening to a traditional Slovak band (I heard a hint of Irish-ness in there!). The high ceilings, chandeliers, and ornate finishing in the room made you feel you extra special. Activities – Our activities were wide and varied for a city that isn’t on a coastline! An open-air bus journey through the city to brought us to Bratislava Castle and to an amazing viewpoint that provided the perfect group picture point (queue the selfie sticks!). We had an off-road experience at the Volkswagen factory (20minutes from the city) and a walk-through of the factory itself – an adrenalin thrill for all the participants! Our group split in 2 so that one half did the off-road experience and the other did the factory tour and then swapped which made the experience more time efficient and special in smaller groups. 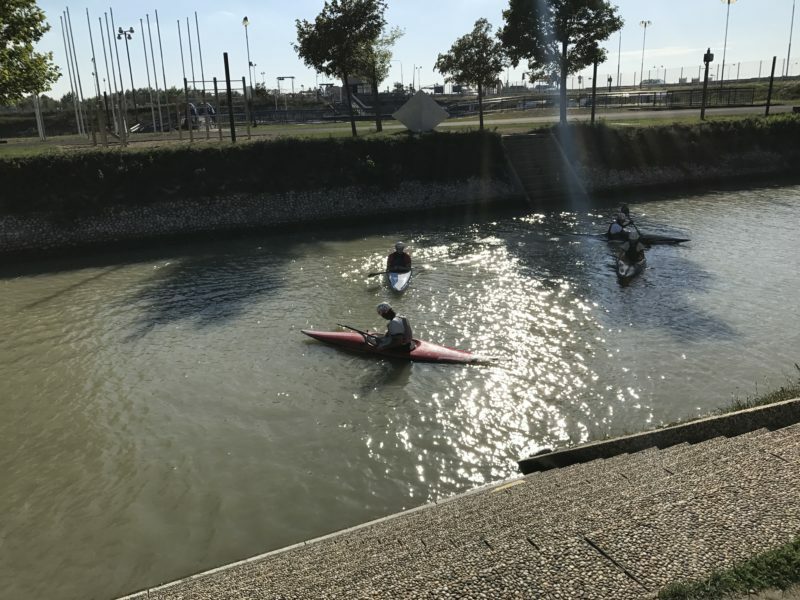 To get to our 2nd activity we took speed boats down the Danube to visit an Olympic Kayak Champion Michal Martikan in the Divoka Voda Water Sports Centre. The speed boat journey took approx. 25mins and it is the way to travel there with the wind in your hair and Go Pro camera in your hands! 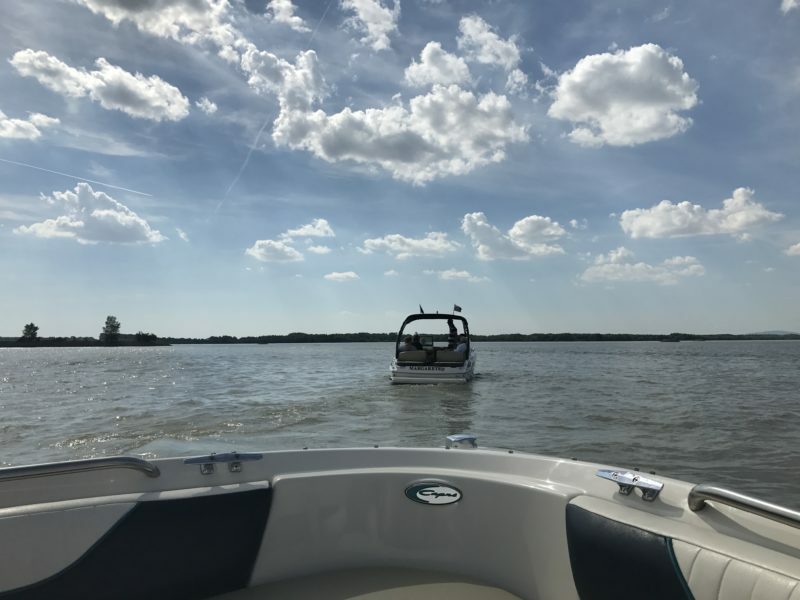 The speed boat company can take groups of up to 60 people split across the fleet. At the water sports centre, there is a manmade rafting experience, surfing and kayaking activity options. Our group broke up into 4-6 smaller groups and everyone started and finished at the same time. If you have a waterproof iPhone case or adventure camera – this is the place for it! From culinary delights, castles to palaces, cars to boats – Bratislava is an epic MICE destination!